[4 of 4] Donna Wheat Wuerch Interview: This week we are joined by VERY special guest, Donna Wuerch, mom of EMwomen Founder, Staci Wallace as she shares personal stories of miracle turnarounds. 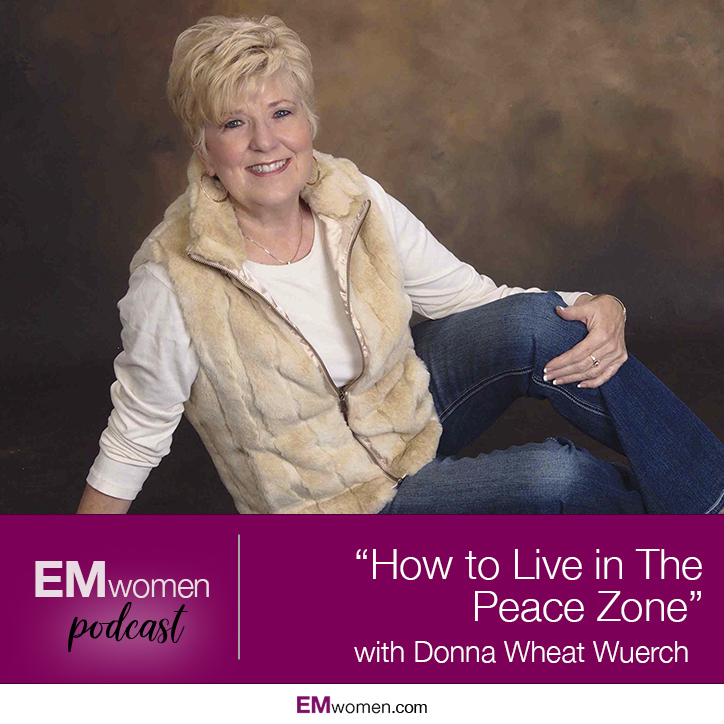 After the death of her husband, Donna launched into becoming a blogger 365 days out of the year, showing us the secret to how to live in the PEACE ZONE in every season of life. Staci Wallace is the Founder and President of EMwomen (Empowering Women), a 501-C3 non-profit organization. She is also a keynote speaker, life-coach and bestselling author of five books. She lives in Frisco, TX with her husband, Larry, of 21 years and two powerhouse warrior children. Connect with her at: http://staciwallace.com or through social media @staciwallace. Copyright 2007 - 2019 by EMwomen.